Courtship is something we see with most advanced life forms in one shape or another. 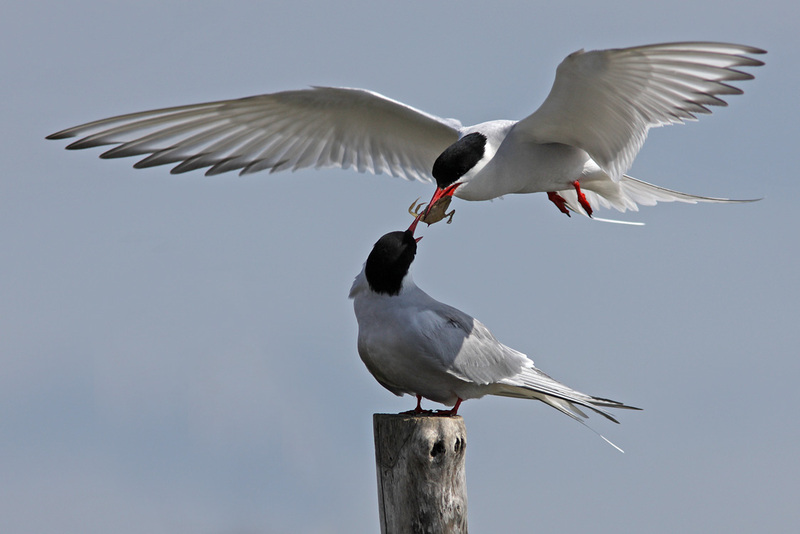 Among the Arctic Terns, their being some of the most well-travelled critters on the planet, the male proves his suitability as suppliers of genes to the next generation by feeding his chosen one delicacies brought up from their foraging grounds. 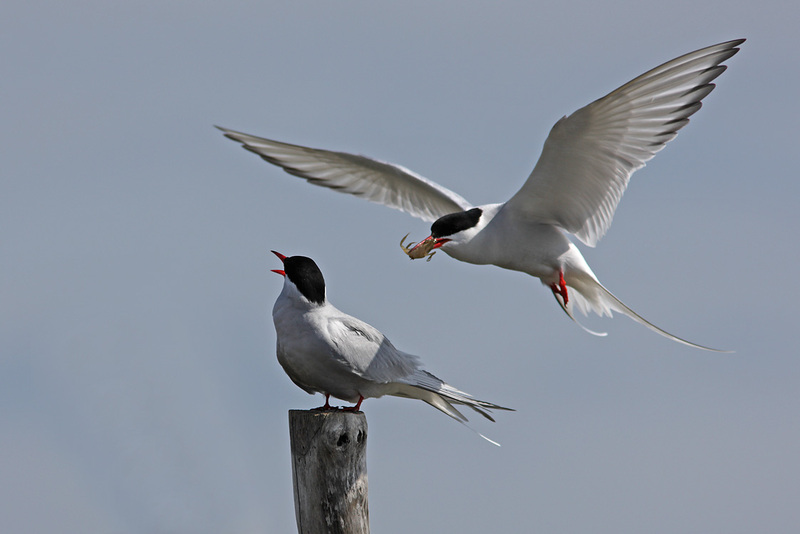 Just being able to actually complete their annual migration, which goes from the breeding grounds up here in the northern hemisphere down to the Antarctic region and back again, doesn’t appear to be enough to persuade her of his excellence at fatherhood, so something more is called for. And to me it makes perfect sense to do it like this; I can fly far, and when I arrive I still have the energy to feed not just myself, but you as well – so I carry the perfect genes to mix with yours! These birds were photographed from the sea kayak with my kayaking rig; EOS 1Ds mkiii with EF 300mm L f4 and 1.4x mkii extender. They were busy enough courting to almost completely disregard my presence. 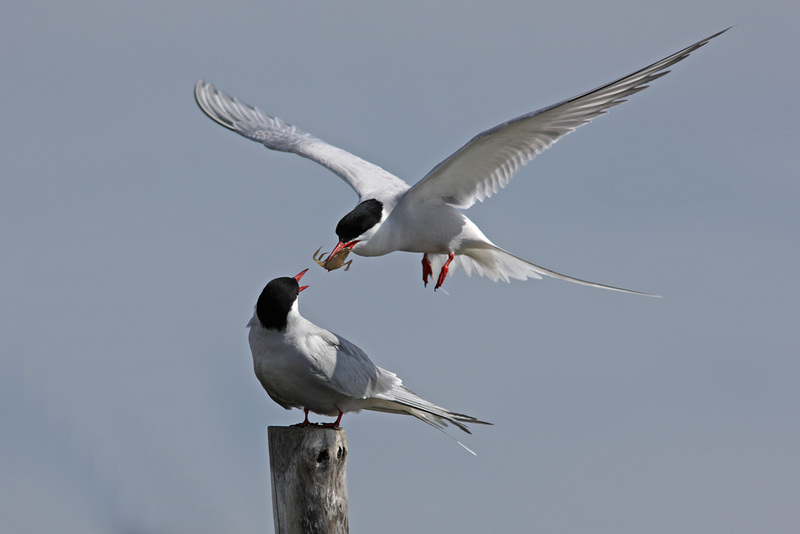 Click on the thumbnails to see large pics of these birds expressing their love.